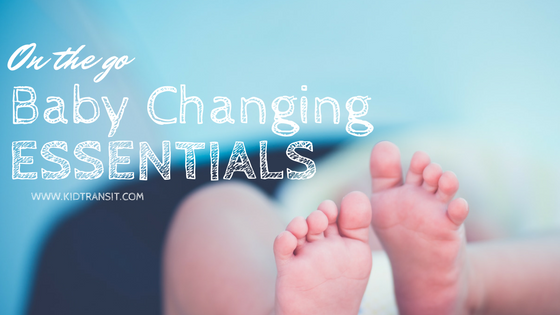 The idea of changing your newborn baby in public may seem a little daunting. It often means that new parents stay close to home during those first few weeks. This doesn’t have to be the way! We’re here with some tips for changing nappies on the go. 1. Invest in a reliable changing bag. Firstly, you’ll need a decent bag to fit all your essentials in for when you’re out and about. Opt for one that’s roomy, with lots of different compartments for all of your essentials. There’s nothing worse than having a poo-covered baby squirming around whilst you rummage through an unorganised bag for wipes. Once you pick out the bag, set aside a few minutes to get familiar with where everything goes. Set out a space for any products you may need, as well as clean nappies and wipes. You may think that you have enough nappies, but pack a couple extra just in case. The day the skimp on supplies may be the day that your darling child’s bottom explodes! Bear in mind that newborns usually need changing before and after feeding, as well as every other time that they poo. This means that you’ll have to change them around 12 times a day. Depending on how long you’re popping out for, pack plenty and then pack a few more! Pop a box of nappy sacks or even a couple of old carrier bags in your changing bag. You may struggle to find an appropriate bin when you’re out, especially if you have a long drive ahead of you. Lock away smells by tightly wrapping dirty nappies in a plastic bag. Although we just said to stock up on essentials, we don’t think you’ll be needing a whole jar of nappy rash cream if you’re just nipping to the shops. Invest in some travel-specific products to give your shoulder a break and make more room in your bag. Save money by buying small plastic cosmetic bottles suitable for flights and then fill them with the protective creams that you need. Just make sure to keep them topped up before you head out again. Completely ignore point number 4 in the case of baby wipes. You’ll definitely need plenty of these life saviours. Not only are they great for cleaning up your baby’s bum, but they’re also perfect for sticky fingers, wiping down your changing mat and dribbly chins. You’ll need a changing mat that’s durable, yet lightweight so it doesn’t weigh you down when you’re on the go. 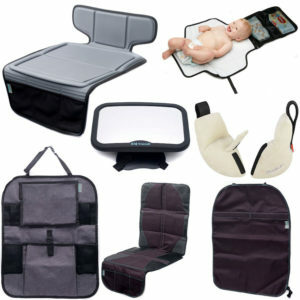 Many parents also look for a travel mat with a padded surface, to keep their baby comfortable whilst they’re being changed. You also want to make sure that it has a wipeable or washable surface in case of any unwanted accidents. 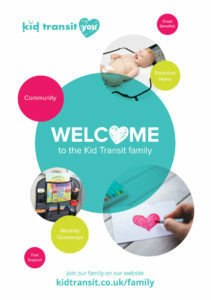 The Kid Transit travel changing mat has all of these features and more. Not only does it have a wipeable surface and cosy padding, it’s also extremely portable thanks to the detachable bag that attaches to your pram. The bag is also big enough to fit a couple of spare nappies in, perfect if you’re just nipping out for a couple of hours or if you need to make extra room in your main changing bag. Do you have any baby changing tips? Share them in the comments below!